Size of this preview: 800 × 533 pixels. Other resolutions: 320 × 213 pixels | 3,718 × 2,479 pixels. 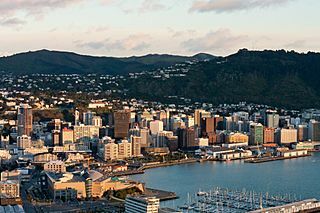 Description: Panorama of Wellington at dawn.